Friends of The Nation and of Howard Zinn offer recollections of the man, his work, and his impact on thinkers and activists. To commemorate the passing of the great Howard Zinn and the major impact he’s had on so many thinkers and activists, The Nation asked friends of the magazine and of Zinn to offer remembrances of the man and his work. “Somehow, Howard Zinn was one of those people I just thought was immortal,” wrote Nation columnist Patricia Williams. Anthony Arnove, Marian Wright Edelman, Tom Hayden, Steve Cobble, Kaveh Afrasiabi, Frances Fox Piven, John Cavanagh and others share their memories of Zinn, and the effect he had on their writing, lives and activism, below. If you, too, would like to contribute a recollection, please send us a web letter here. We’ll publish additional contributions as they arrive. When a New York Times obituary writer contacted Howard Zinn a few months ago, explaining that he wanted to interview him for their files, Howard didn’t miss a beat. “What’s your deadline?” he asked. Sharing that story recently, a few of us out for dinner with Howard after a reading of Voices of a People’s History of the United States with Harry Belafonte, who Howard had met that evening for the first time, could all laugh easily at the joke because we all felt that his obituary would not be written for many years to come. He had such a life force, such an energy, it seemed unthinkable we could all lose him when we did. Though Howard could easily have slowed down in recent years, especially after the loss of his remarkable life-partner, Roz, he didn’t. Working with him on our documentary The People Speak, which aired on History in December and is out this month on DVD, I was constantly running to catch up. Having the privilege of working with Howard for much of the last decade of his remarkable life, I was able to observe his artful approach to politics. He made the most radical ideas seem commonsensical and gave people a sense that a life in struggle is the most meaningful and rewarding one imaginable. He gave us an idea of the kind of world we want, and why it’s worth fighting for. Howard has left us a remarkable legacy and example, and through his work has also given us, to borrow a phrase from the socialist Raymond Williams, resources of hope. La lutta continua. As a college student in 1977, I joined the remarkable anti-nuclear power protest that brought several thousand people over and around the fences that guarded the grounds of the Seabrook nuclear power plant in New Hampshire. After creative assaults on the site from land and sea, we set up a tent city for several days before the NH National Guard carted us off to armories around the state. As I settled in to my tent, word spread that Howard Zinn was camped out in a tent not far away. He was famous even then, three years before his groundbreaking “Peoples’ History,” largely for his writing on civil rights and the Vietnam War. So, I walked over and introduced myself and we sat quietly and talked about the movements to end the Vietnam War, and about what we were trying to do to end nuclear power. He was modest and encouraging and full of wisdom. And, at Seabrook and elsewhere, without great fanfare, he was a participant in the history that he would later present, so convincingly, to millions of Americans. When Howard Zinn passed away on January 27 at age 87, the nation mourned the loss of a pioneering historian and social activist who revolutionized the way millions of Americans, especially young Americans, understand our shared history. His writings and work inspired millions of readers, but I was among the generations of students privileged to know him as a beloved teacher, mentor and friend. His first academic job after graduate study at Columbia University was at the historically black, all-woman Spelman College in Atlanta, Georgia, my alma mater. The tall, lanky professor and I arrived at Spelman together in 1956, I as a freshman and he as chair of the history department. He and his beautiful wife, Roslyn, and their two children, Myla and Jeff, lived in the back of Spelman’s infirmary, where students always felt welcome to gather, explore ideas, share hopes and just chew the fat. Howie encouraged students to think outside the box and to question rather than accept conventional wisdom. He was a risk-taker. He lost no opportunity to challenge segregation in theaters, libraries and restaurants, and encouraged us to do the same. The black Spelman establishment did not like Howard Zinn any more than the white establishment did. Later, after he joined the faculty at Boston University, its president, John Silber, disliked him just as much as Spelman’s president Albert Manley did, because he made some teachers and administrators uncomfortable by challenging the comfortable status quo. We called him Howie and felt him to be a confidant and friend as well as a teacher, contrary to the more formal and hierarchical traditions of many black colleges. He stressed analysis over memorization; questioning, discussions, and essays rather than multiple choices and pat answers; and conveyed and affirmed my daddy’s belief and message that I could do and be anything and that life was about far more than bagging a Morehouse man for a husband. He lived simply and nonmaterialistically. I felt comfortable asking to drive his old Chevrolet to transport picketers to Rich’s department store or to scout out other potential demonstration sites. He was passionate about justice and his belief in the ability of individuals to make a difference in the world. Not a word-mincer, he said what he believed and encouraged us as students to do the same. He conveyed to me and to other students that he believed in us and that we were powerful and not helpless to change what we did not like. He conveyed to members of the Student Nonviolent Coordinating Committee (whose voter registration and organizing efforts he chronicled in his book SNCC: The New Abolitionists) that he believed in, respected and supported our struggle. He was there when two hundred students conducted sit-ins and seventy-seven of us got arrested. He provided us a safe space in his home to plan civil rights activities by listening and not dictating and always kept our secrets from the administration. He laughed and enjoyed life and taught us that it could be fun to challenge the status quo. What fun it was to visit the Georgia state legislature, sit in the whites-only section, watch the floor proceedings screech to a halt and hear the frantic gaveling and demands to “move those people to where they belonged.” With Howie, we would then saunter out with smiles on our faces to dream about the next adventure. He spoke up for the weak and little people against the big and powerful people just as he did his whole life. An eloquent and prolific chronicler of the people’s history of the United States, of the civil rights movement, and of the longings of the young and the poor and the weak to be free, his most profound message and the title of one of his books is that “you can’t be neutral on a moving train.” You can and must act against injustice. Howie taught me to question and ponder what I read and heard and to examine and apply the lessons of history in the context of the daily political, social and moral challenges all around us in the South, such as racial discrimination and income inequality. He combined book learning with experiential opportunities to engage in interracial discussions, partnered with community groups challenging legal segregation and engaged students as participants, observers, data collectors and witnesses in pending legal cases. He listened and answered questions as we debated strategies for conducting sit-in demonstrations to challenge segregated public dining facilities and used his car to check out, diagram, and help choreograph planned civil rights events. He reassured us of the rightness of our case when uncertainty and fear crept in and some of our college presidents sought to dampen our spirits and discourage our activities. In short, he was there for and with us through thick and thin, focused not just on our learning in the classroom but on our learning to stand up and feel empowered to act and change our own lives and the community and region in which we lived. He taught us to be neither victims nor passive observers of unjust treatment but active and proud claimants of our American birthright. Howie helped prepare me to discover my leadership potential. I was so blessed to have Howie Zinn as a teacher and lifelong friend and will miss him deeply. One of the greatest vacation memories I have is three decades ago, a two-day summer downpour in Nova Scotia, my wife and I tent camping in a provincial campground. We ended up spending much of the rainstorm reading from a pile of books we’d been meaning to catch up on. But we had to keep trading The People’s History of the United States back and forth after each chapter, because neither one of us wanted to put it down. The People’s History taught me that change comes from the bottom up, often with the assist of inspired leadership, but not from leaders alone. That lesson from Howard Zinn is a good one to hang onto, in a country where the US Supreme Court just gave the corporation that owned the tea the same electoral free speech rights as the patriots who threw the tea into Boston Harbor, before the Revolution. Howard Zinn was a man loved by many people. I loved him too, and I want to say a little about what was so special, so extraordinary, so exemplary, about this man. I became friends with Howard when I took a job at Boston University, in the fall of 1973. My office was adjacent to his, and I often had to make my way through a tangle of students sprawled on the corridor floor while waiting to see him. Then Howard would arrive in a rush, always a little stooped with a big smile and a wry comment when he poked his head in my door. And you know, the sight of him made my day. I was always happier when I knew Howard was next door, and sometimes he would toss away the brown bag lunch he’d brought with him and we would go out for milkshakes and BLTs. I taught at Boston University on and off for about ten years, and chummed around with Howard and Roz, through all of the heated battles between the notorious John Silber and Howard, battles that exasperated me because they were so totally nuts and I wanted to fight other issues. So, of course, did Howard, but he could not break free of the mad John Silber’s grip until he simply left Boston University. My friendship with Howard did not lapse over the decades. We needed to talk to each other from time to time, because something would happen in our personal lives, or something would happen in our political lives, and I immediately wanted to check out what Howard thought. I always wanted to know what his moral compass told him because I thought maybe it was steadier than mine. There was something else about Howard that made him special, that made him a joy to be with, and I think it is the most important reason so many people loved him. And that was Howard’s love of life. He loved his own life, everything about his life, including Roz and the children and grandchildren, also his tennis game as long as he could play it, summers on the Cape, growing tomatoes, or swimming in the icy bay, or good food, especially Italian food. Most important, as others have said, Howard took some knocks for his political activism, both at Spellman where he was fired and at Boston University where Silber froze his salary. But never was there the slightest hint of martyrdom in Howard’s recounting of these events. Howard understood that he was in fact blessed with the special joy of an engaged and politically active life, with the pleasures of solidarity and comradeship , with the exhilaration of exerting oneself and even risking something to make an imprint on one’s community, one’s society. Howard never pretended to be a hero. This wasn’t exactly modesty. He knew he was living the good life and enjoying himself too much. I studied with Howard Zinn at Boston University. He was my dissertation advisor, mentor, friend, tennis partner and a pillar of support for me during the eight grueling years when I fought a civil rights battle with Harvard University. Zinn’s passage is a great loss to all who knew him directly or indirectly, including the millions of people in America and around the world who were impacted by his revisionist American history written from people’s rather than elite’s point of view, his exemplary peace activism, as well as his literary works. The “old soldier of the left,” as he was once described by the New York Times, was a hero of the civil rights movement and the antiwar movement who spoke at thousands of rallies and sit-ins against the war in Vietnam, as well as America’s invasions of Panama, Afghanistan, Iraq, etc., always at the forefront of American peace movement. As his teaching assistant for his immensely popular class on law and justice in America, I was constantly astonished by the unique love and respect that the charismatic Zinn enjoyed among the students who overcrowded his classrooms, even overflowing into the hallways. Yet despite his popularity, his international fame and the wealth of his scholarly publications, years after years the right-wing university administration would deny Zinn a pay increase and eventually he would retire with a junior faculty salary. Such was the state of disgraceful discrimination against Zinn that he was once even accused of inciting arson on campus after he refused to cross the picket line by striking grounds workers at BU. Zinn loved tennis and we spent many hours on tennis courts until his sight deteriorated and couldn’t play any more, and he was thrilled when I got him tickets for tennis finals at Longwood one day. His favorites were Lendel, Sampras and Federer. His favorite actor was Gary Cooper and he once mentioned Cooper’s For Whom The Bells Toll as his all-time favorite movie. Zinn guardedly supported Obama’s bid for presidency and in an interview I did with him for Asia Times in 2008, when asked what recommendation he had for the Obama camp, he urged Obama to forget about Hillary and “talk about changing this country from a war-making country to a peaceful one, talk about the need to discipline greedy corporate America, about true health security with a single-payer system, about learning from the policies of the New Deal – government-created jobs, etc., but going beyond that.” As expected from a pacifist, Zinn opposed Obama’s troop surge strategy and favored an orderly US departure from both Iraq and Afghanistan, devoting his last years to the noble cause of abolition of war, along with an Italian surgeon. After Roz’s death, I wrote a short comedy, Zinn in Jail, to cheer him up. Howard Zinn’s comrade-in-arms, the MIT linguist and peace activist, concurred with his assessment and wrote to me, “I agree with Howard.” Also, I had bounced the idea of a “Chomsky/Zinn International Center” and both men liked the idea but did not see fit to personally intervene in setting it up. It is up to the rest of us, all those who want to see a more pronounced enduring legacy of these two towering voices of peace for generations to come, to make this into a reality. Fifty years ago, with my wife Casey, I met the Zinns in Atlanta at the height of the student civil rights movement. Seventeen years older than I, Howard was a role model who defied the exception to the rule of not trusting anyone over 30. So was Roz, in that time of the feminine mystique. The common notion in those days was that racial integration meant accepting black people into a closed white society. For Howard and Roz, integration also meant the reverse: that white people should seek acceptance in the segregated black world. So he taught at the all-black women’s college, Spellman, where they lived on campus. He joined the movement, wrote about SNCC, and taught history with a fierce and friendly faith that it would make a difference. One of his students was Alice Walker. Again and again Howard demonstrated these core values over the decades. He eventually was driven out of Spellman for supporting his students who protested segregation, as he later would be fired from Boston University for his stance on the Vietnam War and the system underlying it. Late one night in 1967, I spent hours briefing Howard and Father Daniel Berrigan before they flew to Hanoi in defiance of the US government’s prohibition against contact with “the other side.” The professor and the poet were pursuing the truth of our time, while the diplomats and mainstream media were in denial or worse. Then in the dawn of the seventies, he committed an even riskier act in the service of truth. He joined the underground network that protected Daniel Ellsberg and Anthony Russo as they released the classified Pentagon Papers which proved the Vietnam War to be an Official Lie. How many of us are willing to be fired not once, but over and over again, for embodying our beliefs? There were a few, like our friend Staughton Lynd (with his wife, Alice), who also moved to Atlanta, worked with SNCC and ultimately was fired by Yale for his anti-Vietnam stance. There were some others, but not many. Howard and Staughton were punished for being prematurely right about racism, the Vietnam War and the responsibility of intellectuals. In time, Howard was welcomed back to Spellman with honors and applause. All the while, Howard was immersed in his Great Work, a thesis about the arc of American history being centered on the democratic reforms generated by wave after wave of social movements. His labor was long and painful, with no expectation of mainstream success. The drafts piled up, Roz often editing and arguing with Howard into the night. She was deeply moved by her debt to the feminist movement, which had been marginalized or neglected in the teaching of history, he by the lost stories of his immigrant working-class forebears. As each version of the People’s History seemed to be completed, Howard kept discovering deeper histories he hadn’t known. Finally it began with the Indian resistance against the colonial settlers. It came to include the gay liberation movement, the disability rights movement and so on. The excavation and telling of the stories kept expanding the text. While many in the academy quit in futility, or adjusted their earlier radicalism to become acceptable to committees of dinosaurs, Howard kept trying to forge an alternative to the dominant discourse, a people’s history to stand against the established one. Perhaps it was the right moment. The sixties were over, the struggle over memory remained. The new generation of students made possible by civil rights and university reform embodied the very constituencies who were left out of the customary narrative. Campuses were bursting with struggles over new departments focusing on the lost histories of people of color, women and the left-outs, forced outs and dropped outs. Howard Zinn gave us our lost heritage, and made us proud of it. I remember listening to him one day, and the empowering inspiration I felt in my bones when he said, in his low, reasonable and utterly subversive voice, that the reason the government keeps so many secrets is simply that the government fears that the American people, not foreign conspirators, are their enemy. Years later, he bought me lunch at a small restaurant by Harvard Square. “Let me pay for it. I can afford it now,” he joked. As we sipped coffee and shared stories about our heart conditions, Harvard luminaries like Samantha Power kept dropping by the table to shake his hand. He was very aware of the irony of his late-life acceptance, bordering on adoration, in the ranks of the respected. Like many of his heroes and heroines in The People’s History, Howard was becoming co-opted as an icon. The book kept selling, reaching one million copies this year. Then came documentaries, and the continuous spreading of the people’s history is unlikely to stop. Howard’s work has demolished the previous pillars of conventional wisdom, like Arthur Schlesinger’s The Vital Center, the neoconservative’s attempted restoration of the Victorian Age, and the aloof claims of intellectual postmodernism that there is no longer a unifying narrative. Howard and I had our differences along the way. Howard grew up amidst the ideological struggles within the older Marxist left; on that spectrum, I think he would be classified as representing the Popular (non-communist) Front. He bombed Germany and became immersed in guilt over the civilian casualties he may have inflicted. As an early member of the New Left, these experiences were too distant to shape my life. Howard didn’t include the Students for a Democratic Society, the Port Huron Statement or “the sixties” as subjects of his people’s history. He wrote me an anguished letter a few years ago promising to include that history in the next edition of his book, but time ran out. I would have been interested in his reflections on the demise, often self-generated, of those youthful organizations he tended to defend and support against their many detractors in the early sixties. His model of social movements was disdainful of electoral politics (well, maybe excluding Eugene Debs), while I served in the California legislature for eighteen years and supported Barack Obama. His criticisms were serious and legitimate: (1) that in voting for politicians, people were delegating away their own power; (2) that the political parties were shock absorbers that channelled popular rage into orderly channels; (3) that reforms and regulations were token concessions from the higher powers to placate and contain the potential for radical change; and (4) that all reforms were achieved through the pressure of more radical forces. No one can deny that these are the dominant patterns of American history, as his work amply demonstrated. Every community organizer and activist needs to read and absorb these lessons of The People’s History. But Howard embraced a model in which an undefined revolution lay on the horizon, and in which “the people” were inevitably betrayed after rising and rising over again. The very reforms that Howard himself risked his life and reputation for–the right to vote, the end of the Vietnam War–were seen by him as somewhat hollow. The labor reforms of the New Deal, the victory of women’s suffrage, didn’t really matter all that much, according to a careful reading of Howard’s text. Reform always led back to the entrenchment of the establishment. In The People’s History, to be specific, Howard wrote favorably of Emma Goldman’s statement that there was no reason to assume that women would be helped towards emancipation by the vote; that the Progressive Era was aimed at “quieting the popular rising” and “soothing protest,” and that the two parties served as a “middle class cushion for class conflict.” Reform was a “tactic of control.” His history of the anti-Vietnam movement made no mention of any members of Congress who opposed the war, including then-Senator Mike Gravel who took a great risk in reading the Pentagon Papers into the Congressional Record. He wasn’t wrong, but perhaps underestimated the meaning of reform, as exemplified by the success of his own writings. His book is a mainstream foundation of a new and permanent approach to history, assigning agency to social movements. I have no doubt that Barack Obama, to take an example that might make Howard both appreciative and uncomfortable, is entirely familiar with Howard’s writings, and I believe the president borrowed from The People’s History in his campaign stump speech, which invariably ended with a tribute to social movements, a chain of struggle Obama described as passing “from hand to calloused hand,” finally achieving so much that we revere and enjoy in American life. The paradox is that Howard never would have expected that The People’s History could be appropriated to the purposes of an unlikely campaign to elect our first African-American president. But remember always, Dante, in the play of happiness, don’t you use all for yourself only…. help the persecuted and the victim because they are your better friends…. In this struggle of life you will find more, and love and you will be loved. 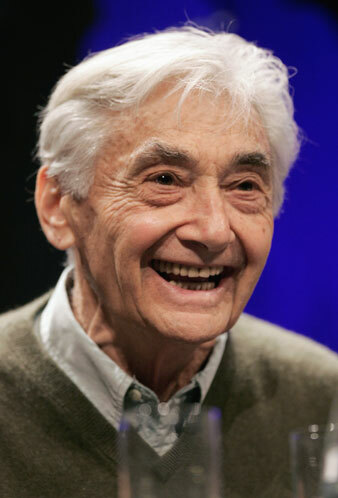 Radicalism itself was “the play of happiness” all through the long life of Howard Zinn. An abstraction like class consciousness was translated into his belief that the persecuted and the victims were his “better friends.” In struggle itself, everyday life would be enriched. That he succeeded in this improbable quest is a lesson that should make the powerful nervous, and the rest of us so very grateful.